Graduation from an accredited high school or equivalent, and two years of experience. Any combination of related experience and/or education may be substituted. 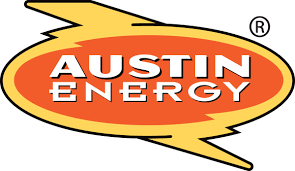 The Accounting Associate I will review and process Austin Energy’s vendor payment documentation, including employee mileage and employee reimbursements. They will review for accuracy, completeness and ensure compliance with City of Austin/Austin Energy policies and procedures. Accounts Payable / Bookkeeping experience or 12 college credit hours in accounting. Prepares and reviews payments, cash receipts, billing or other accounting transactions by verifying documentation and accurately completing transactions. Researches and resolves routine billing, invoicing, financial inquiries, customer and vendor account information. Processes travel documentation and monitors credit card activity and supplemental documentation to ensure compliance with established policies, procedures and internal controls. Maintains information and reviews financial transactions by creating and/or monitoring electronic files and/or accounting documents. Reconciles accounts, identifies and prepares corrections by collecting and analyzing account information and analyzing accounting options. Responds to routine inquiries requiring a general understanding of financial systems and transactions. Assists customers by providing requested financial information and guidance with automated or manual systems. Maintains accounting controls and financial security by following policies and procedures and internal controls. Knowledge of bookkeeping or record keeping procedures. Knowledge of basic financial transactions. Skill in analyzing and interpreting financial records. Skill in processing large volumes of numerical data. Skill in applying bookkeeping procedures. Skill in operating a personal computer and related equipment. Skill in use of spreadsheets and word processing software. Skill in operating a calculator. Skill in performing basic mathematical calculations. Skill in classifying fiscal data and compiling reports. Skill in analyzing, preparing, checking and balancing routine fiscal transactions and accounts. Ability to prepare accurate financial reports and statements. Ability to resolve problems or situations requiring the exercise of good judgment.